In February 2018, Be My Eyes introduced a new feature called Specialized Help, where people who are blind or with low vision can request assistance from partnering companies and organizations. Microsoft is the first company aboard the platform. Having direct access to the Microsoft Disability Answer Desk, through the Specialized Help menu, has been a real game-changer for Paul. Paul is often faced with a challenge or two on his Windows laptop and sighted help from the Microsoft support team can make all the difference. So far, Microsoft support agents have assisted Paul in several different situations ranging from software updates to troubleshooting different programs or even learning particular key commands that provide a shortcut. Paul was able to update his PC to latest Windows version and learn a couple tricks to navigate the system flawlessly. The Microsoft team is a faster way of getting the technical support solution than waiting on the telephone call. One is able to look on your computer and help you resolve your issue immediately. Paul finds the app’s new feature especially useful because of Microsoft’s efficiency compared to other technical support platforms. The fact that the agents are able to see what’s happening on his screen makes pinpointing the problem a lot simpler and finding the right solution a lot quicker. To him, the Microsoft Disability Answer Desk is extremely reliable, but most importantly it’s accessible for a person with a disability. The agents have a clear understanding of how folks with vision loss use Microsoft products and this insight makes for a smoother, more comfortable process for each caller. With the Microsoft Disability Answer Desk just a call away, Paul and other folks who are blind or low vision can troubleshoot their technical issues independently, without a lengthy or costly phone call - what Paul defines as a great success. 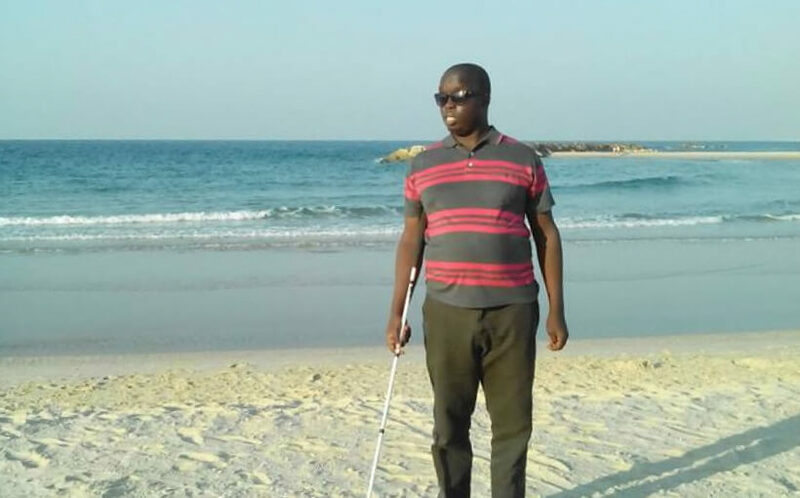 I as a blind person, I really appreciate this partnership between Microsoft and Be My Eyes, because it has enabled me and other blind people all over the world to be able to do their own work without any disturbances or including other expenses of technical support. If you are a blind person or you have a low level of vision and you live in Australia, Canada, Hong Kong, Ireland, India, Malaysia, New Zealand, The Philippines, Singapore, South Africa, UK, or USA - the Microsoft agents are ready to assist you, too. And with new expanded opening hours, you can now give them a call at any time of the day!